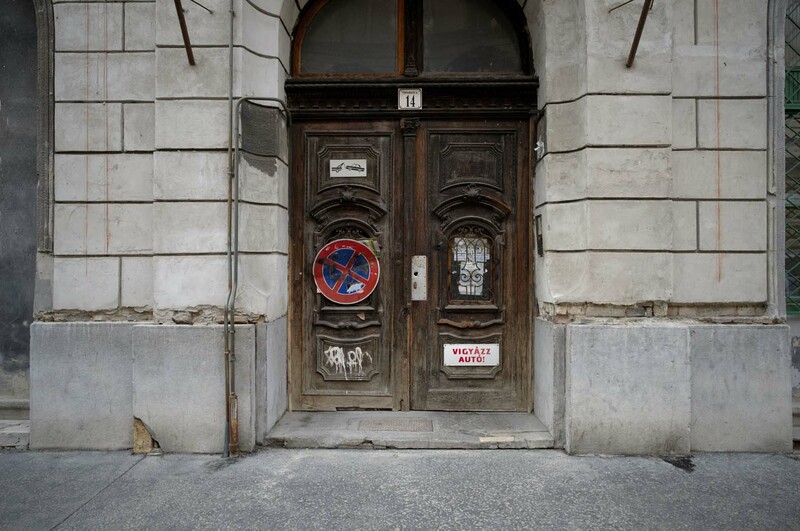 From 21 June until late November 1944, all Budapest citizens defined as Jews by the race laws in force at the time were obliged to wear the yellow star, and to live under curfew in a designated house also marked with the yellow star. Across the city, there were almost 2,000 such yellow star houses (apartment blocks), a dispersed ghetto which accommodated around 220,000 people for almost half a year. 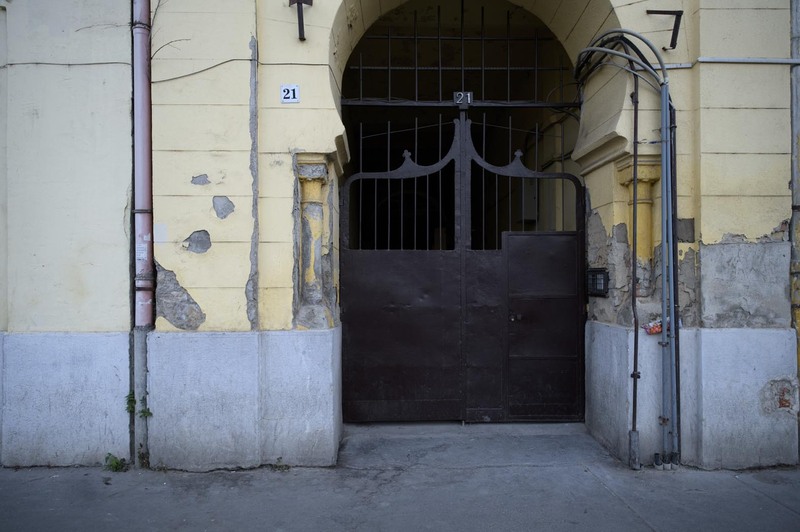 Because the aim of this forced mass relocation was to concentrate the Budapest Jewish population in preparation for deportation, each family was allowed just one room. 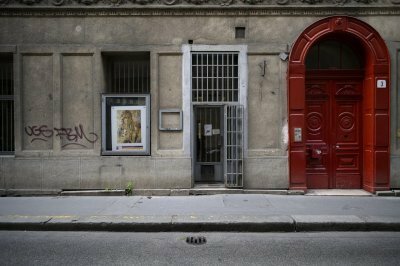 The yellow star houses were unique to Hungary and Budapest: nowhere else in Nazi-occupied Europe were houses reserved for Jews marked with the yellow star. These stars were made out of cardboard. This was, after all, intended as an interim stage, en route to the death camps. Although around 1,600 former yellow star houses are still standing and in residential use today, this fact was largely forgotten until early 2014. 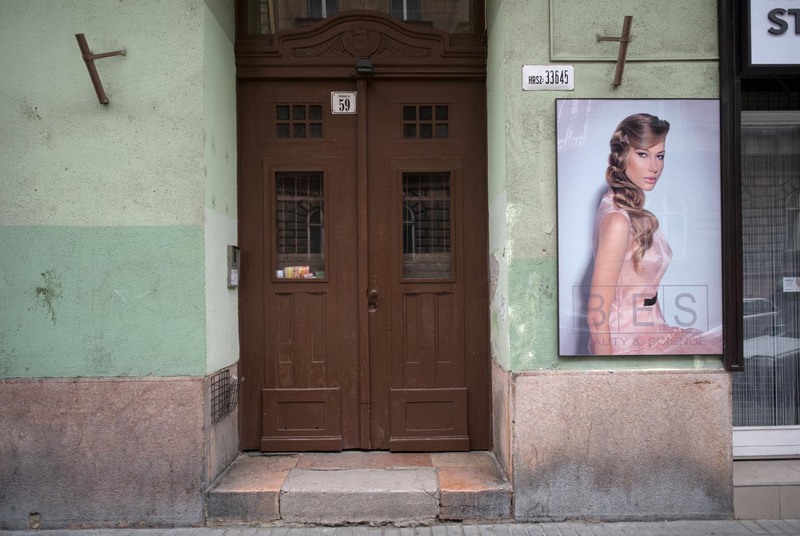 Having documented Budapest’s various inner city districts from 2005 to 2015, Irish photographer Nigel Swann discovered that many of the buildings he had photographed had been yellow star houses. 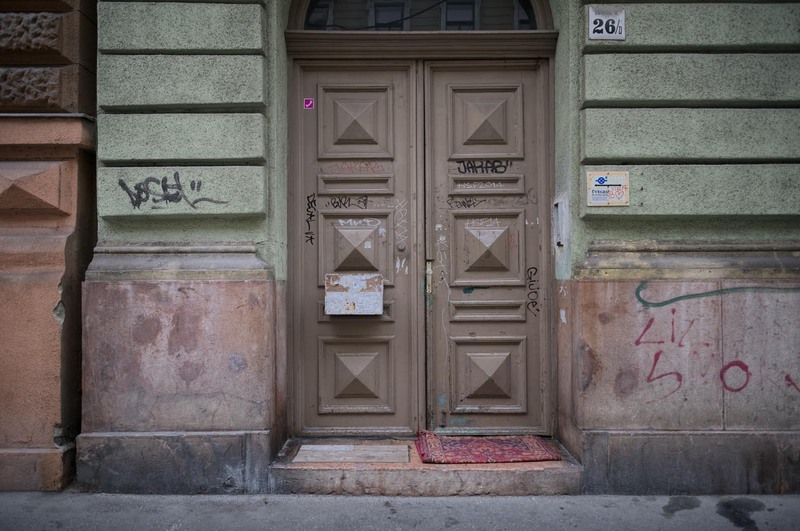 When Swann found the official lists of the yellow star houses published in early 2014 by the Open Society Archives Budapest on yellowstarhouses.org, he identified and re-photographed a number of the buildings. For the exhibition, Swann has created a series of rigorously formal images that comprise a visual typology of these often mundane-looking apartment blocks. The façades speak of both a darker and, until recently, a hidden history and a culture of forgetting.